Earlier this month, the UN’s adoption of an Arms Trade Treaty was celebrated as a historic success by Amnesty and Oxfam. Yet many campaigners now believe it could do more harm than good. Kirk Jackson reveals how a treaty that never seriously threatened the arms trade was critically weakened at the UN, and how it could actually benefit the arms industry and powerful arms-selling states. When the UN General Assembly adopted the Arms Trade Treaty on April 2nd, it made headline news. Many of the NGOs that had campaigned for over 10 years to make it happen hailed it as a dream realised and “the dawn of a new era”. And yet, over the last few years, a number of anti-arms trade groups and campaigners have become increasingly concerned that the treaty could not possibly live up to the claims being made about it, and that if it was adopted by the UN, it could do more harm than good. This is the story of how a treaty that started with the best of intentions was critically weakened in its passage through the UN; how powerful arms exporting states hope to use it as a foreign policy tool; how the NGOs mis-sold the treaty to their supporters; and how the treaty could actually benefit the arms industry. The original idea was simple: Recognising the terrible damage caused by the unchecked global trade in arms, a group of Nobel Peace Laureates drafted a set of principles that would apply existing international human rights and humanitarian law to international arms transfers. These principles were developed into a draft arms trade treaty (ATT) that would oblige states to regulate and report all international arms transfers, and to prevent transfers where the arms would be likely to be used to commit war crimes or human rights abuses. In 2003, three large NGOs – Amnesty International, Oxfam and the International Action Network on Small Arms (IANSA) – formed the Control Arms coalition to campaign for governments to adopt the treaty. In its first three years, the campaign gathered a petition of a million supporters, and it has remained the highest profile arms trade campaign in the world due to the global reach of the NGOs behind it. 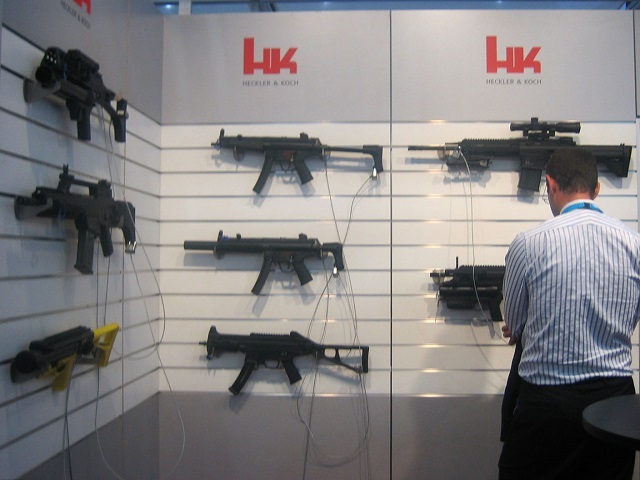 In 2006, the treaty was introduced to the UN by the UK ambassador, and the UK government has been at the forefront of negotiations ever since, arguing that the world needs an arms trade treaty. The government even gave Oxfam over £800,000 to campaign for the ATT. It may seem impressive for the UK to be backing a treaty that could be expected to curb its own arms sales, given that the UK is one of the world’s “big six” arms exporters and regularly sells arms to human rights-abusing regimes. However, the UK’s support is not as laudable as it seems. Firstly, it’s important to understand that the government does not believe that the ATT will affect the UK’s arms exports at all. 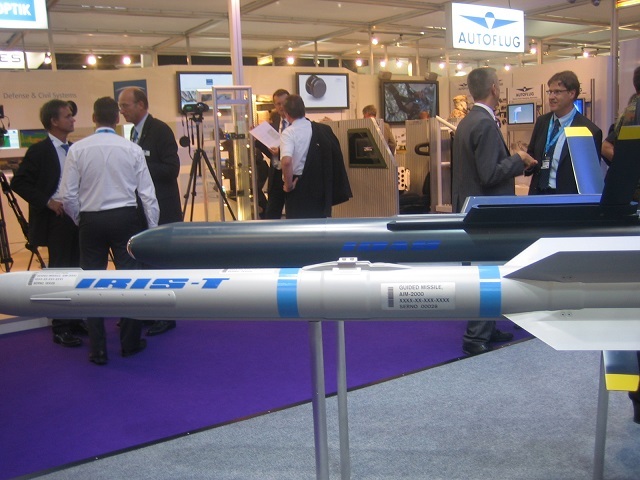 The ATT is no more rigorous than the UK’s existing arms export licensing criteria. These criteria are supposed to prevent the export of arms that would be used for internal repression or human rights abuses, but in practice, they are routinely interpreted in a way which facilitates exports, and the government knows it will be able to do the same with the ATT. As British diplomat Chris Wright made clear in a blog post entitled The Hidden Benefits of an Arms Trade Treaty; “it will not impact our ability to export arms to our allies.” He gave the Middle East as an example – a region in which Britain continues to market weapons to repressive regimes. The countries of the Middle East were not so sure. Most of them opposed the ATT, fearing that it would limit their ability to acquire arms. However, the UK’s Arms Export Policy Department reassured them that the ATT “would not add anything on top of” existing criteria and that the ATT “will not make it more difficult” for them “to acquire the weapons that they feel they need”. This is because, ambiguous and ineffective though the UK’s current export licensing criteria are, many countries have even less regulation. In the words of Foreign Office Minister Alistair Burt, the UK wants an arms trade treaty that “helps create a level playing field for the legitimate defence industry”. The UK and US governments also see the treaty as a tool they can use to prevent weapons from being supplied to their adversaries. UK diplomat Chris Wright envisions a treaty that will benefit “US and UK troops, diplomats and contractors working in dangerous places” by denying weapons to insurgencies in places like Iraq and Afghanistan. He concludes that “the only people who will not reap any rewards [of an Arms Trade Treaty] are those we wish weren’t armed and those who supply them.” Whether it’s realistic to expect that a treaty weak enough to allow the US and UK to export arms to whoever they want could be effective in stopping arms to their enemies remains to be seen. In a recent demonstration of the UK’s dissonant policy on arms, one month after William Hague made an impassioned plea for an ATT that would require arms exports to be assessed “on the basis of respect for international humanitarian law and human rights,” David Cameron announced that the UK was considering bypassing an EU embargo in order to arm Syrian rebel groups, some of whom have committed war crimes. At the UN General Assembly meetings in 2006 and 2008, a large majority of countries voted in favour of developing the ATT. Only one country voted against these resolutions – the world’s largest arms exporter, the United States. Two other big-six arms exporters, China and Russia abstained. It was seen as vital for the success of the ATT to get the support of these major players, and in 2009 the incoming Obama administration provided the opportunity to get the US on board. However, the US levied a heavy price for its support. The US would not accept a treaty that would interfere with its national security or foreign policy interests or hinder the “legitimate commercial activity” of the arms trade; nor would it accept any kind of international enforcement of the treaty. Accommodating the demands of the US weakened the treaty’s crucial obligation to prohibit the export of arms when there is a risk they will be used to commit war crimes or human rights abuses, and it exempted ammunition and shells from the treaty’s record-keeping and reporting requirements. Crucially, the US insisted that the treaty could only be adopted by strict consensus rather than a majority vote. This effectively gave the US or any other state the power to veto it, which made it even more difficult to negotiate a treaty that could be effective. The Control Arms coalition campaigned hard for a “bulletproof” arms trade treaty, but the final text is not bulletproof, literally or figuratively. The original wording from 2003 was relatively strong, but by the time the ATT was adopted by the UN General Assembly in April 2013, its provisions had been so diluted as to render it practically ineffective. The final text contains a number of serious loopholes and flaws, some of which are outlined below. The treaty states that arms should not be exported if there is an “overriding risk” of serious violations of international humanitarian or human rights law. This word “overriding” is open to interpretation. It could be taken to mean that arms exports should only be stopped in extreme or exceptional circumstances, or that a state could decide that the risk of abuse was not enough to “override” the perceived benefits of the arms export. For example, a supplier could decide that while a client country was likely to commit human rights abuses, that was not strong enough to override the client’s “right to self-defence” or “regional stability” or even the need to protect an important “strategic partnership”. This is particularly apposite for the UK, where the government’s drive to promote arms sales always overrides human rights concerns. The original Control Arms draft said that arms transfers should be refused if they were “likely” to be used to commit serious violations. Later drafts raised the threshold to “substantial risk,” and in 2012 it was further raised to “overriding risk”. The NGOs tried hard to get that changed back to “substantial,” with support from many countries, but the US insisted that “overriding” must remain. One of the selling points of an ATT was that it would “help introduce new levels of transparency and accountability” to an otherwise murky trade by requiring comprehensive record-keeping and public reporting of all arms transfers. On this issue, the treaty has failed. Whereas the original draft required states to submit annual reports on arms transfers to be published by an international body, the final text only requires states to record a minimal list of arms exports that need not even include the type, model, quantity or value of the exports. Without proper reporting provisions, there will be no way to tell whether the treaty is effective in stopping any arms exports. The treaty only covers specific types of conventional weapons. The list excludes certain types of arms including surface-to-air missiles, armoured troop-carrying vehicles, light artillery, tear gas and, notably, drones. The Stockholm International Peace Research Institute (SIPRI) warned that this failure to reflect modern military technology made the ATT “likely to be a relic before it ever comes into force”. While the treaty does mention ammunition and components, these are exempt from some of the treaty’s key provisions. At the insistence of the US, there is no requirement to keep records or report the export of ammunition or components. Furthermore, states are not required to regulate the import, transit, trans-shipment, brokering or diversion of ammunition or parts. Given the key role that ammunition plays in sustaining conflict, this is a huge loophole. It also means that arms dealers will be able to avoid key regulations by trading in “knock-down kits” – kits of parts for assembly in the destination country – instead of whole weapons. Finally, the treaty does not cover licensed production agreements, whereby a country that owns the design to a particular weapons system grants a license to another country to manufacture that weapons system. This type of arrangement has been used by arms companies for decades as a way of avoiding arms embargoes. The responsibility for assessing the risk of an arms export is entirely down to the exporting country. There is a clear conflict of interest here: a country that wants to export arms will tend to decide that there is no “overriding” risk. Furthermore, an exporter’s decisions are not open to international review and there are no legal sanctions for violating the treaty. The US made it clear that it would not accept the creation of an international body to enforce the ATT. One of the treaty’s core principles is “the respect for the legitimate interests of States to acquire conventional arms to exercise their right to self-defence… and to produce, export, import and transfer conventional arms”. It focuses specifically on stopping “illicit” trade. However, this distinction between the “legitimate” arms trade and the “illicit” arms trade is bogus. The vast majority of international arms transfers, including those to human rights-abusing governments and conflict areas, are legal. Countries like the US, UK and Russia supply large quantities of arms to repressive regimes around the world, but the treaty leaves plenty of scope for them to declare these sales as “legitimate”. Furthermore, by recognising the “legitimate interests” of states to acquire arms, the treaty privileges states at the expense of non-state actors such as stateless peoples and ethnic groups oppressed by their own governments. For example, the treaty asserts the right of Israel, as a state, to acquire arms for “self-defence” but does not accord the same right to the Palestinian people who live under Israeli military occupation. In this way the treaty could help to reinforce a status quo in which powerful states militarily dominate marginalised populations. The way in which the ATT was ‘sold’ to the general public generated expectations that the treaty “was never likely to fulfil,” according to Dr Robert Zuber, who represented Global Action to Prevent War at the UN negotiations. Campaign literature frequently talked about the number of guns and bullets in the world, giving the misleading impression that the treaty was designed to reduce them. Amnesty argued that “the massive rise in arms transfers makes the case for controls more pressing than ever,” but the ATT was never intended to be a disarmament or non-proliferation treaty, and as Neil Cooper, Senior Lecturer in International Relations & Security at Bradford University points out, an ATT is “not incompatible” with rising arms sales. Amnesty and Oxfam claimed that an arms trade treaty would save “millions of lives”, but it’s not clear how this could be possible. ATT advocates have been strong on talking about the terrible human cost of the arms trade, but weak on explaining how the treaty could realistically be expected to mitigate that cost. An oft repeated claim was that an ATT would prevent the kind of tragedy unfolding in Syria, but given how weak the treaty is, that doesn’t seem remotely realistic. The biggest danger of a weak arms trade treaty is that it legitimises business as usual. When countries and arms companies are criticised for supplying arms to repressive regimes, they will be able to claim that they are complying with the Arms Trade Treaty, as championed by the world’s leading human rights organisation. Furthermore, as the treaty is weaker in some areas than existing arms export regulations, it could actually undermine current practice. The treaty will undoubtedly be used to burnish the image of arms companies too. Already, the website of arms company BAE Systems, which supplies weapons systems to repressive regimes, talks about its support for the ATT under headings like “meeting high ethical standards” and “working responsibly”. The treaty’s failure also comes at a cost to the movement that campaigned for it. Over the last decade, a huge amount of resources and effort was devoted to the Control Arms campaign. Over a million people signed petitions, and tens of thousands of activists were mobilised to lobby, demonstrate and publicise the campaign. Now that the UN has adopted a treaty that cannot fulfil the expectations that were created for it, grass-roots campaigners may become disillusioned with tackling the arms trade. When the treaty was finally adopted by the UN General Assembly, the NGOs that had campaigned for it proclaimed it as a victory even though the final text still contained most of the loopholes that they had been strongly criticising only days before. As for the arms exporters, they welcomed the treaty’s passage, confident that its prohibitions will not interfere with business as usual. Michael Aron, the British ambassador to Libya, tweeted the “fantastic news” of the ATT’s adoption shortly before greeting UK ministers aboard a warship sent to sell arms to the new regime in Tripoli. Perhaps the most important lesson, which had seemed self-evident to the treaty’s critics, is that if a piece of proposed arms control legislation has the support of the world’s biggest arms producing states and the support of the arms industry itself, then that’s a fair indication that the legislation will be useless or worse than useless. The proponents of the ATT were well aware that “a weak treaty would be worse than no treaty” but they seem to have had no Plan B. It should have been apparent, at least in the last few months of the process, that it was not going to be possible to salvage a strong treaty from the negotiations. At that point, it may have been better for the NGOs to disavow the treaty so as to deny it legitimacy. Campaign Against Arms Trade believes that no arms control treaty will be effective as long as governments continue to prioritise arms sales over arms control. They argue that to make a difference we need to focus on stopping government support for arms exports. Kirk Jackson is an anti-militarist campaigner, and has been involved with various campaigns over the last 20 years. He currently works for Campaign Against Arms Trade (CAAT). Could you point out where the facts are stretched please Lorey? Human rights and development organisations should not be beyond criticism. The concerns I’ve outlined here are valid, they are serious, and they are shared by a significant number of anti-arms trade campaigners and campaigning organisations from around the world. Guns and munitions are silent where governments encourage opportunity, productivity, and financial stability. Fully armed citizens will dictate to their figure head dictator but unarmed citizens are a pathetic mass of slaves. I don’t pretend to know anything about this complicted arms industry and trade but I do understand the guns are a by-product of the real problems. Regardless, where money can be made in an industry, money will determine the course. A hollow Treaty will not win over a potential for profit and every one involved knows that truth. Having expressed my distain for any gun or munitions control I must declare I am fully against America’s involvment in the next war. It is important for people like yourself, and even people within the NGO community, to highlight valid criticism and to expose hypocrisy, flannel and mediocrity dressed up as lamb. So your piece is a useful guide to highlighting some of the frustrations that have not been highlighted in the road to getting a ‘robust’ Arms Trade Treaty. But it is also a little purist, I’m sorry to say. To deem the ATT a ‘huge failure’ somehow suggests that there was a treaty out there that could have been a ‘massive success’. One that major nations signed up to despite their economies enjoying the successes of their own trade exports. That was never going to happen, despite what people said (but they would say that wouldn’t they?). I’ve only just joined this world of arms trade engagement. Too late to have had any meaningful impact on ATT. But I can see realpolitik at play in the end treaty that was agreed upon. I can see a beginning where you seem to see an end. You see, I see not a conclusion in the signing of the treaty but a beginning of sorts in future lobby work, future accountability and future political and public pressure with the ATT as a stick to batter people with, and a stepping stone to more work. So I am not criticising your facts here. I can’t say what are one sided or not. But I think you tone is too purist. To deem the ATT a failure is not to imply that there could have been a successful treaty, and that is not what I am suggesting. I agree that the major arms-exporting nations were never going to agree to a treaty that restricted their arms exports. Whether the ATT will ever be developed into an effective instrument very much remains to be seen, but as it stands it is not neutral: It is already harmful in its current form. To have an international treaty that explicitly declares huge swathes of the arms trade to be “legitimate”; that explicitly recognises the economic and commercial interests of the arms trade; and that provides a fig-leaf for arms-exporting countries and arms companies is worse than having no treaty at all. For humanitarian NGOs to be promoting such a treaty is, in my opinion, a sign of how compromised they have become. You may think my tone is “too purist” but a lot of the criticisms of the ATT I have quoted are from the very organisations that have campaigned for it. By the way, are you aware that your tone is quite patronising? I worked as a policy advisor with Oxfam throughout the negotiation. Though I no longer work for Oxfam, I’m compelled to respond to some of these comments, because some are a complete mis-representation of what actually happened. On the content of what you have written, I readily concede that there are major holes in the treaty text that, despite our best efforts, we were unable to close some of them. Sadly, we were not equal negotiators in the room – so to expect us to have that kind of influence is silly. We held the negotiations to a higher standard, and came away with more than what existed prior to the negotiations. Again, it is not perfect, we’ve not stopped the arms trade. But we were part of a process that has started to make it harder to do business as usual. It is clear that NGOs approached the negotiations from a number of different ideological perspectives. Whereas the total elimination of the arms trade is a utopian goal which we all would readily support, many of us recognise that state security forces – as part of the social contract – have a responsibility to establish and maintain the rule of law and security. In some cases, this requires a show of force – and of course it means that responsibility can be abused (as we saw in Fergusson recently). But the social contract effectively suggests that the state maintains a monopoly over the use of violence so that citizens don’t need to take security matters into their own hands. In order to do this, it is sometimes necessary for states to be armed. That doesn’t make it right… but it is a necessity in certain situations (for example, the Mumbai terror attacks, or indeed ISIS’ recent activities). It was at this point that those who advocated for the ATT came in – I accept that it is sometimes necessary for security providers to be armed. However, I strongly believe that this occasional necessity should not be used as a blank cheque to sell and buy arms without any controls. By reducing the instances where and when arms can be sold, we are advocating for less to be in circulation. We are arguing in favour of a change in mentality, a change in practice, and a change in business as usual. One need only look at the Cluster Munitions Convention or the Land Mines treaty to note how imperfect agreements have changed state behaviour over time. On Sergio’s point about NGOs commentary about ‘money well spent’ – that is a lot of baseless rubbish. A victory to us would be a definitive change in the everyday reality that people we work with experience around the world. We saw an immense sea-change in perceptions amongst the negotiating countries, and we definitely achieved a lot with the treaty. Article 7.4 for instance is the first ever legally binding obligation on states to assess the impacts of arms transfers on incidences of Gender Based Violence. Given that women and children have increasingly been targeted by armed actors, how can this not be seen as good news? There is now a piece of international law that allows civil society to hold perpetrators of gender based armed violence to account. That did not exist before the ATT. The same goes on reporting – whereby all States Parties now have to make their reports publicly available. Voluntary reporting to the UN Register has been declining year on year. Of course this treaty is not perfect. But to write it off as a failure is monumentally short-sighted. Like Iain said, this is a beginning of a process. The implementation of the treaty is where the real successes will be seen. Sergio, that is very interesting, thanks for sharing. Deepayan, you say that the article is a misrepresentation of what actually happened, but you haven’t actually challenged any of the facts in it. Of course you came away with “more than what existed prior to the negotiations,” but the real issue is whether the ATT you came away with is actually worse than having no treaty at all. Given how weak it is and how it serves to legitimise much of the arms trade, it looks like that’s the case. You claim that the ATT process “has started to make it harder to do business as usual” but where is your evidence for that? The major arms exporters certainly don’t agree: The government of the UK has assured repressive regimes that the ATT “will not make it more difficult” to acquire weapons, and BAE Systems is confident that the ATT will have no impact on its arms sales. You say you’re arguing in favour of change, but an argument for states to be armed to maintain “a monopoly over the use of violence” is in effect an argument in favour of the status quo – a status quo in which governing elites maintain their grip on power by violently repressing dissent, whether that’s on the streets of Manama, Kiev, Ferguson or Hong Kong. It is an argument for repression, and certainly not an argument that humanitarian NGOs should ever be making! You claim that the ATT “allows civil society to hold perpetrators of gender-based armed violence to account” but it does no such thing. It only requires states that want to export arms to “take into account” the risk of those arms being used to commit violence against women. The risk threshold is still far too high, there are big loopholes, and no international enforcement to hold arms exporting states to account. Of course gender-based violence is terrible, but no-one has yet been able to explain how a such weak and ineffective treaty can do anything at all to mitigate it. As for reporting, contrary to what you say, states do not have to make their reports public – they’re only required to report to the ATT Secretariat. They’re supposed to submit an annual report “concerning” exports and imports but there are no requirements for any specific details to be in that report, and states “may exclude commercially sensitive or national security information”. In other words, the ATT’s reporting requirements are no better than voluntary reporting. The last refuge of ATT apologists is that it’s “a beginning of a process” but even Oxfam admitted that “treaties with weak provisions – no matter how broad their support – rarely become strong over time.” Given how weak the ATT is, your claim that “real successes will be seen” in the treaty’s implementation doesn’t seem realistic. Moreover, there is also the small detail that not only is fake that the States have to report publicly about their trade – as noted by Kirk – but that there is no verification mechanism in the ATT. Any. Even is a law is very good, what is a law if its implementation depends on verified offenders? That Treaty – as it is – has nothing to do with what Mr. Ray says now, differently from what he said in 2012. And I have never took the position that the ATT is just useless (see “The Arms Trade Treaty: Building a Path to Disarmament”, March 2013 in “Solutions”). If there is something close to rubbish is not my comment but the ability of people like Mr. Ray to say that the king’s clothes are wonderful despite the fact that the king is actually naked. In fact, how to define otherwise such a statement: “A victory to us would be a definitive change in the everyday reality that people we work with experience around the world.” Yes, sure, but what this has to do with an ATT in which the real instruments of death, ammunition, are not present and States who have done horrible things police themselves? Or States like the UK that has never published a single data on its actual deliveries of arms? “We saw an immense sea-change in perceptions amongst the negotiating countries, and we definitely achieved a lot with the treaty.” Really? And to which Ray do we need to believe? 2012 or 2014? By the way, Mr. Ray, Oxfam published that report in July 2012, but it did not even mention the 57-page very detailed and accurate report we published in February 2012, “Transparency & Accountability. Monitoring and Reporting Methods Under An Arms Trade Treaty” in which we firstly addressed the topics and the issues that later on become “popular” (without quotations, of course). “Sergio Finardi and Peter Danssaert have over the past few years produced some of the most meticulously researched and detailed work on arms transfers. Their uncompromising approach to finding information on movements of arms – looking especially at the intricate links between all the various companies, individuals and government agencies that partake in even the most mundane arms transfer – has been the foundation of much of the activism on the arms trade. Sergio and Peter have co-authored a guide to monitoring and reporting methods for arms transfers. It’s just been published and contains extensive explanations of the terminology used to report the arms trade. Anyone who is serious about researching the trade and look directly at the various data sources available needs to have a copy of this report on their hard drive. This is extremely inappropriate for school scenarios!!!!! !